Last night I shared openly about some of the struggles and the challenges I have experienced during the last few weeks. Everyone including me has challenges struggles and difficulties. Most of us are very private some air everything that’s going on with them every second of every day. I am a very private person even though I share so much of what happens with energy and some of the trials and tribulations that I experience. My sister and her son are in town which is what is needed my dad needs to see them and they need this time to be with him. Their true colors towards me just couldn’t be hidden any longer and in front of my parents showed their open contempt. Major Energy Shifts, bumping up against resistance, clearing out the old .. PATH of an INDIGO EMPATH GROUP MENTORING PROGRAM – JUST $147 SAVING $100. YOUR LAST OPPORTUNITY TO GET THE BEST INDIGO EMPATH LIVE GROUP MENTORING PROGRAM. If you’re waiting for a SIGN … THIS IS YOUR SIGN! Yes, for the next 24 hours, you can get in for just $147 (or 2 easy pays of $88 each). Get in on the savings before it goes up to $247 and save $100. As we talked for a few minutes about this program, she knew she wanted to be a part of it. You see beautiful Soul, this program is all about helping you and others just like you, ‘fit in.’ That doesn’t mean ‘fit in’ to where your Spirit, your thoughts, your gifts and your energy are stifled, or you feel like you’re a fish out of water. That’s not the ‘fit in’ we’re talking about here. This is just the tip of what I’ll be sharing with you if you say YES and join us today. You’ll also receive fabulous Bonus Gifts that are all about helping you get what you want … knowing what to do with what and how you feel even when there’s just TOO MUCH ENERGY to deal with! There’s one more thing … you can get in for $197 (or two easy pays of $111 each, billed 30 days apart) OR you can ‘wait’ when the price goes up to $247 on January 1st. That’s just 5 days from now …. Not as far off as it seems. Q: Will this be offered again? Get in on our Early Bird Special before the price goes up. OH! Nearly forgot, there’s a Private Facebook group for extra support during and after the 8 week Path of an Indigo Empath Course. AND if you already get the feeling that you’re meant to be teaching other Indigo Empath’s, we’re offering a Certification Program too. Then Path of an Indigo Empath Group Program is for you and the time is now. 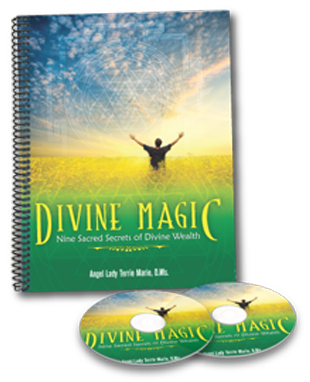 PS … Want to get to the nitty-gritty of what’s really happening inside you and get practical, easy ways to help you with all the new, more powerful energies that are coming in now and will only get stronger in 2018? 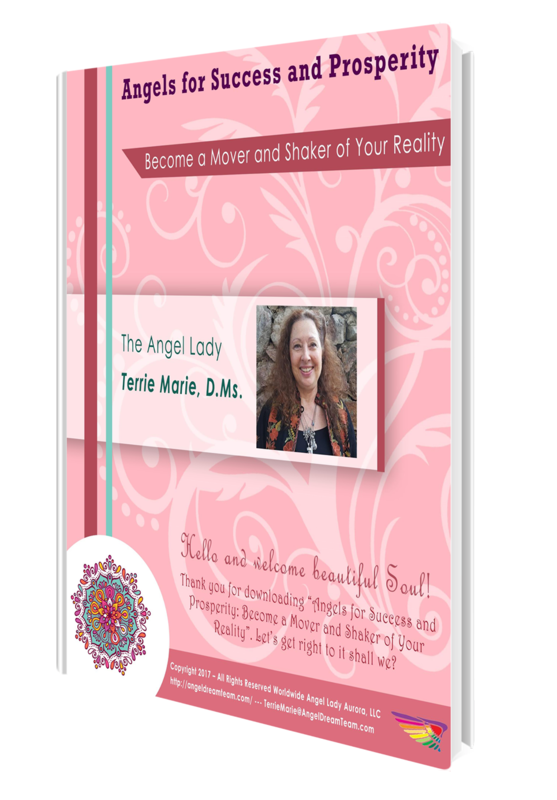 Join us in Path of an Indigo Empath … great things are waiting for you beautiful Soul. It would be an honor to support you on your journey to fulfilling your purpose. The Early Bird Special of $197 (or 2 easy pays of $111) ends December 31st. The price goes up January 1st to $247 (or 2 easy pays of $136 each). Join us today and save. When there is such a STRONG feeling of not knowing why things affect you soooo deeply can be really scary at times. Did you ever get any of ‘those looks’ like you were just off in la-la land without a parachute? People have said things to me thinking they were helping me ‘come back down to Earth’ but what they said just hurt. They simply don’t get it. It’s not their fault …. These beautiful Soul’s just aren’t highly-sensitive to energy on any level. They are not like you or me … they are not Indigo Empaths. “Being an Indigo Empath has been challenging in respect to how I balance everything. Once I realized what I was capable of, learning how to handle myself and others, life is much better. I have also experienced emotional moments and have grown with every experience. By far, I do not yet have all this in check but I have come very far the last 5 years. If you relate to MaryJane’s story even a little, you know first-hand how challenging it can be to know how to manage what you feel, sense and even hear every single day. There are soooo many Indigo Empath’s who aren’t sure who they really are because, until now, there hasn’t been someone who said ‘okay let’s do this’ … our BRAND NEW Path of an Indigo Empath Program, is like a magical, mystical key that can unlock that mysterious door for you. You are not ‘over the top’ in what you feel, sense and hear … this is part or what it means to be an Indigo Empath. Are You even on your list? That’s one of the things most of us tend to struggle with … being on the ‘list’ of priorities. As women, we’ve been taught to put EVERYONE ELSE first no matter what is happening or what we want for ourselves. I’ve heard it soooo many times when I ask this one, simple question — “are you even on your list beautiful?” Most of the time what I get is ‘blank look’ as if it’s really possible to put themselves on their list. So, I ask you right here, right now …. Are YOU even on your Christmas List? You know what? I didn’t used to be on my list either! Seriously. Think of myself first? That was being selfish and greedy and a whole bunch of other things that come to mind. My late husband is the one who taught me to get myself a gift for my birthday and for Christmas. You know, it really felt uncomfortable at first. The thing is, if you don’t take care of you then it’s near impossible to always be there for others — family, friends, clients, co-workers — you get to the point of “energy exhaustion” you know that point of no-return … no return on what you give …. No return on appreciating others … no return on all you do. It’s soooo much more than just being about being an Indigo Empath! It’s about HOW to … well, there’s lots to share with you especially if you’ve been struggling with energy overwhelm or feeling like you just don’t ‘fit in’ … tap here for all the deets. PS … Want something that’s really going to help you with all the new, more powerful energies that are coming in now and will only get stronger in 2018? Join us in Path of an Indigo Empath … great things are waiting for you beautiful Soul. When you do not feel good, take a step back from whatever it is you are doing, seeing, reading, and listening to. When you do not feel good, your ‘senses’ are trying very much to tell you something. When you do not feel good, ‘ask’ is this coming from me or to me? The answer will help you know the true origin of the energy. Sunday, after having lunch with my Dad (Mom went shopping for a few hours), I started to feel ‘irritated’ for no apparent reason. Everything was good, time with my Dad was good, time with my Mom when she got back was good too. There really was no ‘reason’ for the irritation. So I ‘asked’ is this really mine? At first, I blew it all off to the energy I picked up earlier. As some of that ‘irritation energy’ melted and dissolved, I realized some of that ‘irritation energy’ was mine. It was coming from me. Once I was aware of where the ‘irritation energy’ was originating and why, it simply dissolved in a matter of minutes. I’m sharing this with you because I am an Indigo Empath. I have known this for many, many years. It hasn’t always been easy. Sometimes it has really been hard and challenging. Because my vibe is incredibly high, I have learned how to protect myself. Some of which I learned by reading. Most have been given to me through channeling, guidance and as a result of reading so many books to understand myself better. Being an Indigo Empath is a gift and at times it can seem and feel like it’s the exact opposite. Knowing who you are and how to manage being here is part of fulfilling your purpose, being of service and honoring your path. The cost of trying to ‘fit in’ causes soooo much damage to your Spirit and the beautiful Light that shines inside your heart and Soul. For most of my life, I did my absolute best to ‘fit in’ and it nearly cost me life not once, or twice but several times. I hear this so often from my clients too. They have tried to ‘fit in’ but they felt dead inside or like they were dying a slow, painful death. For so many sensitives or Empaths, feeling like they need to ‘fit in’ to be accepted, to stop being judged or told they’ve got their heads in the clouds or even to take of their rose colored glasses, is like poking their hearts and crushing their hopes and dreams just because they are different. Being different should be celebrated! Not pounding you down to ‘fit in’ to what‘s considered normal … whatever that really is. Conforming is really overrated and is literally a ‘death sentence’ for so many beautiful Souls just like you and me. About 15 years ago, I made a conscious decision to stop trying to be like others. Now, I’ll share with you I had NO IDEA who I really was. I just knew I had to change things before it was too late. That’s the intention behind Path of an Indigo Empath plain and simple … help as many Indigo Empaths find themselves. Before there’s any misunderstanding here, I AM NOT SAYING you are ‘lost’ I am saying let’s find and connect with MORE of YOU. If we — you and I – have been on this journey together for even a short time, hopefully by now, there’s no doubt about my intentions of supporting you on your path of fulfilling your Life Purpose and be successful and prosperous in the ways that are in alignment with your dreams and your Soul’s deepest calling. We’ve just created a Brand New program, Path of an Indigo Empath, and you can get the inside scoop of what being an Indigo Empath is truly all about and get a complete Path of an Indigo Empath ToolKit ™. Yes, this is the first time we’re offering this comprehensive Group Program with special BETA pricing too … tap here for all the details of what’s included in Path of an Indigo Empath. Then join us today and let’s get started enrollment is now open. There’s a special Bonus Gift for everyone who says ‘yes’ and that is a one-on-one Indigo Empath Custom Strategy Plan. That’s you and me, getting to the nitty-gritty of where you are and design a plan that’s tailored for you. It is quite possible you are an Indigo Empath. Most of the time, being an Indigo is seen as being a ‘child’ BUT there have and are MANY Indigo Adults that have been paving the way for the larger numbers of Indigo’s coming in now. Myth #1 – Indigo Empaths are children, young people in their teens or adults born in the last decade. I’m not the right age be considered an Indigo. The truth is, there are 5 generations of Indigo’s. The first Indigo Empaths started arriving in the mid-1950’s. Most Indigo’s started arriving about 1958 but there are many others who began paving the way earlier than that. Just take a look at some of the books written by amazing Soul’s waaayyyy before their time like Florence Scovel Shinn who was writing about Spirituality in the mid- 1920’s, passing in 1040. Myth #2 – It’s not normal to feel so much emotion. What isn’t ‘normal’ is to pretend you don’t feel as much as you do about just about anything. This is not the same thing as ‘overly being emotional’ as you have probably been told countless times. I’ve been told that that I’m ‘over the top’ when it comes to feeling the way I do about things that ‘normal people’ just brush off. You’re NOT going crazy; you are in-tune with soooo much more around you. Most cannot comprehend what that really feels like so they can’t relate and make like you’re the one who’s ‘off’ somehow. Myth #3 – Only Indigo’s are sensitive to energy around them. So if I’m a Crystal or Star Child / Adult, or a Rainbow Child, does that mean I’m not really an Empath? Does that help you understand more about what an Indigo Empath is and answer just a few of the questions you may have been asking yourself? In our last email, I promised to share how you can learn more about who you are and the gifts you can tap into as an Indigo Empath.